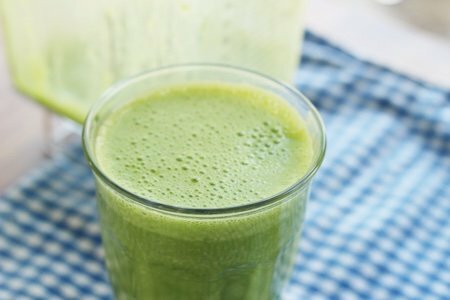 This PB2 green smoothie is the perfect drink for spring and summer. You gotta love its Kermit like exterior. You are (of course) wondering if it tastes like grass. It does not!! PB2 is a magical powder that makes smoothies taste like peanut butter. Check out my PB2 banana smoothie and PB2 peanut butter and jelly smoothie. This green smoothie does have a bunch of healthy baby spinach but if you closed your eyes - you would not know you are drinking spinach. It tastes like a peanut butter/banana smoothie! PB2 (in case you didn’t know) is a powder that is created by taking the oil out of peanuts. It is a by-product of producing peanut oil. You can find it in supermarkets right next to the regular peanut butter. It isn’t cheap ($6 a jar) but it is a cool product. The good news is that when you take oil out of peanuts you end up with the flavor and protein of peanut butter for far fewer calories. 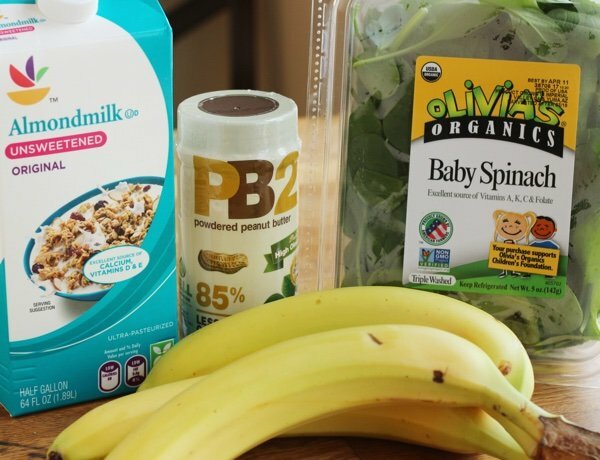 Baby spinach is an excellent addition to PB2 and banana because it is less tough than regular spinach (easier for your blender to process). You can find it pre-washed so it can’t be easier to add it to your smoothie. 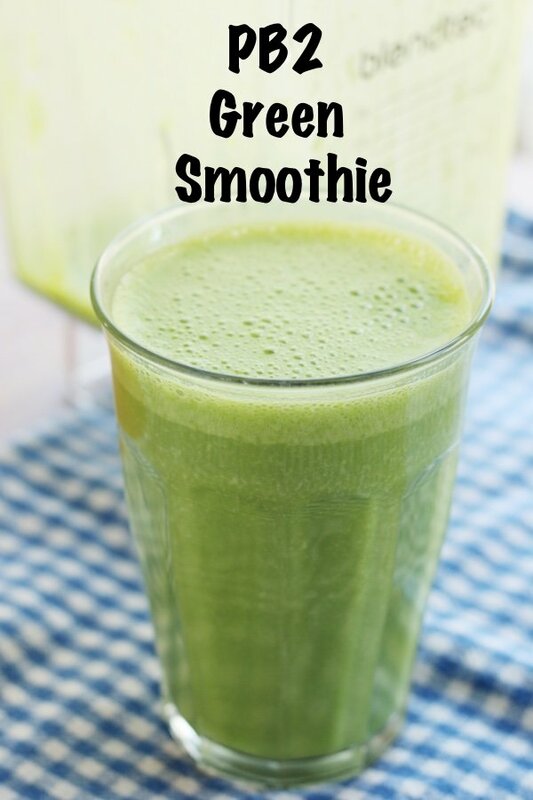 I drink this smoothie before exercise because it is nutritious, hydrating, and fast. Sometimes it can be a good thing to drink your calories - especially when there is no added sugar involved. 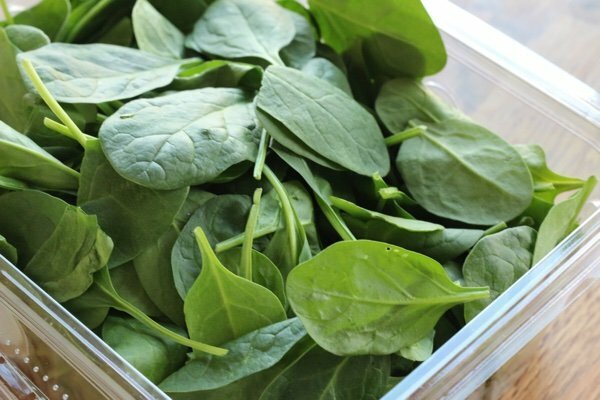 The great thing about spinach (or any dark leafy green) is that you are giving your body a shot of important nutrients that supports your immune system as well as other processes. Sometimes we are hungry because we haven’t given our body what it needs to function - spinach will save you!! You can be like Popeye and you won’t even taste the spinach. Give this PB2 green smoothie a shot. Have you tried adding baby spinach to smoothies? 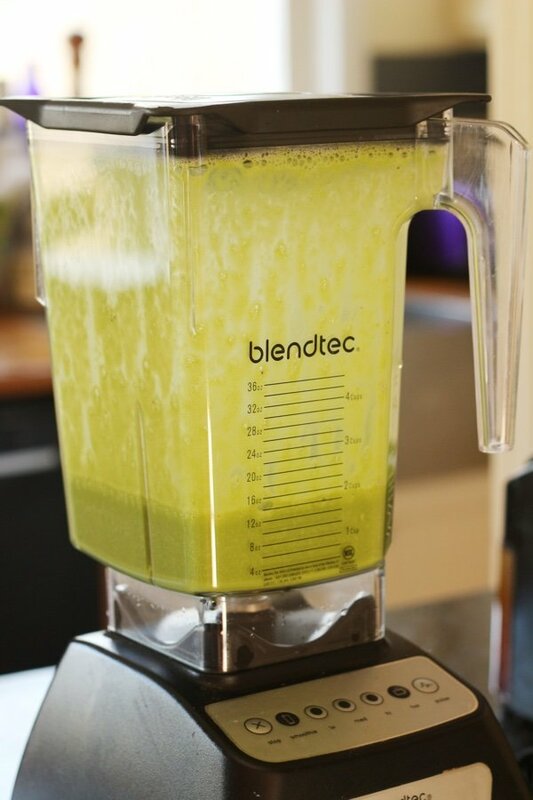 Blend PB2, banana, almond milk, water, and spinach leaves in a blender. Drink immediately. I just bought another pack of PB2. Thanks for the recipe. PB2 is great stuff! It’s really not too expensive if you use it 1-2 T at a time for smoothies. I use both the regular and chocolate (depending on the smoothie) to get extra protein and peanut flavor. I will try the Kermit green smoothie soon! Good recipe and you can use kale instead of spinach. For those shaking their heads, try it. I know it sounds like nothing you grew up with, but try it. It's magic. Add a dab of vanilla if you like. Once you get hooked, you can try it with kale or chard if they were grown well and not made bitter by too much heat and not enough water. I freeze my bananas so it makes my smoothie cold, thick and creamy. I also add 1T. cacao, but otherwise, same recipe I use for my evening "dessert". 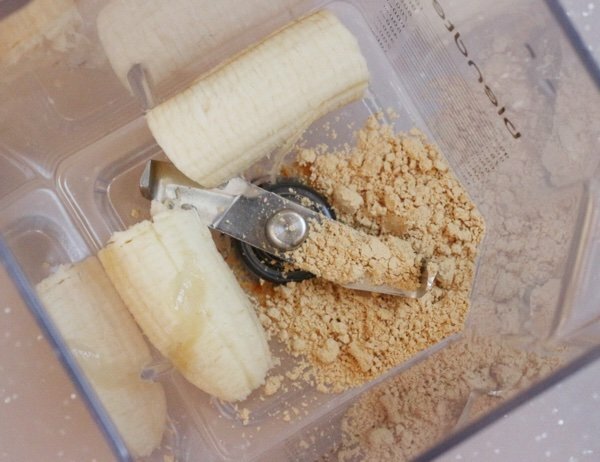 Can you make these smoothies the night before and grab on the way out the next morning for breakfast? @Sue - Hi Sue, I have used mango and papaya in my smoothies. These would go well with the peanut butter. Also, blueberries because the are naturally sweet unlike black berries or raspberries. I also add Brewer's Yeast (Nutritional yeast) for the vitamin content. It has loads of B vitamins and magnesium. It can be used in soups, stew, sprinkled on salads and veggies. It tastes delicious, kind of like a mild nutty flavor. Sometimes I add seaweed powder. I used this during hubby's chemo and radiation therapy and it helped him a lot. He actually gained weight and the doctors were surprised. I also added other berries, vitamins and minerals. Today, after 6 years cancer free, he is in fine health.